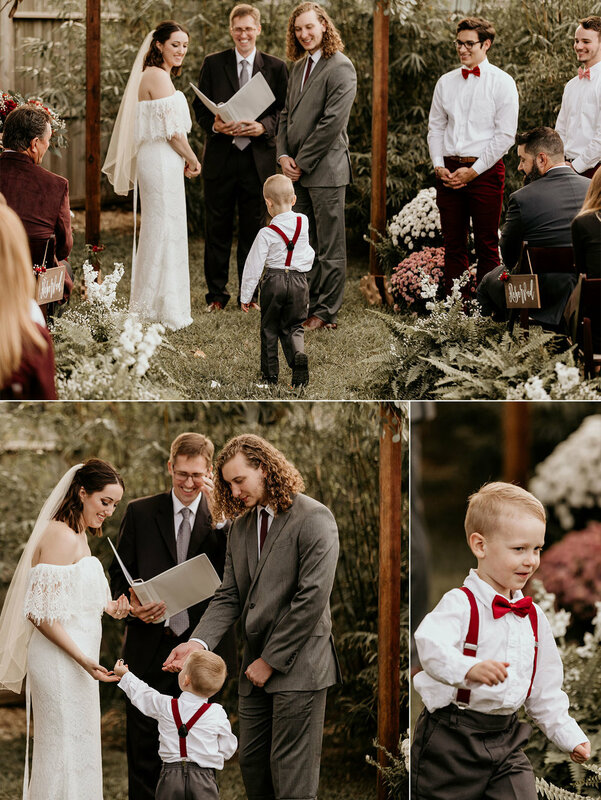 On November 17th, Emily and Hunter had one of the most magical weddings Jesse and I have ever had the chance of photographing. 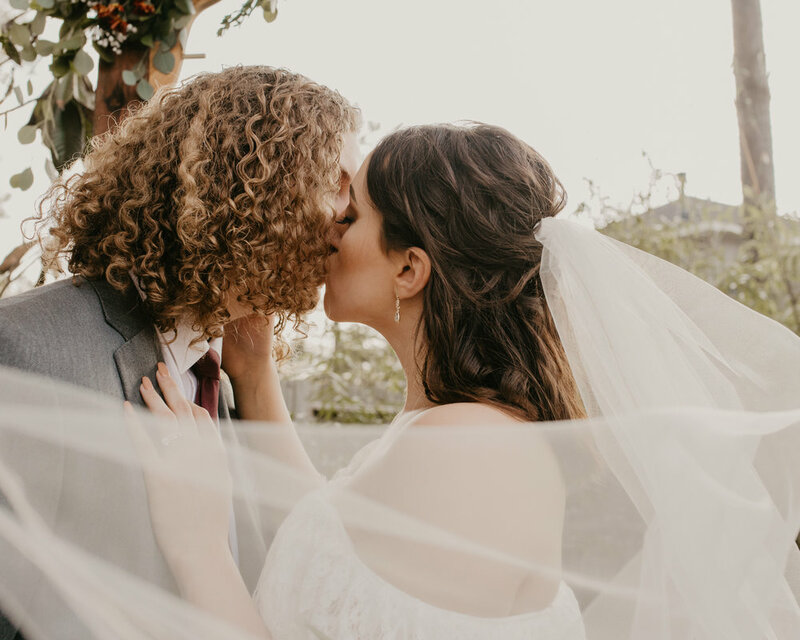 After weeks of rain and cold, these two exchanged vows on a gorgeous day with a romantic sunset serving as the backdrop to their intimate, backyard wedding. We started the day off by taking pictures for the bridal party and this beautiful couple. I’m honestly still swooning over how amazing all these ladies and gents looked in their dresses and formal wear (okay applause for the adorable bow ties please). As for our wonderful couple, Emily was a STUNNING bride and Hunter for sure looked dressed to impress for his future wife. It was so special getting to take their first wedding portraits together in the same place we took their engagement photos and to see that those smiles hadn’t changed from the first time we saw them. 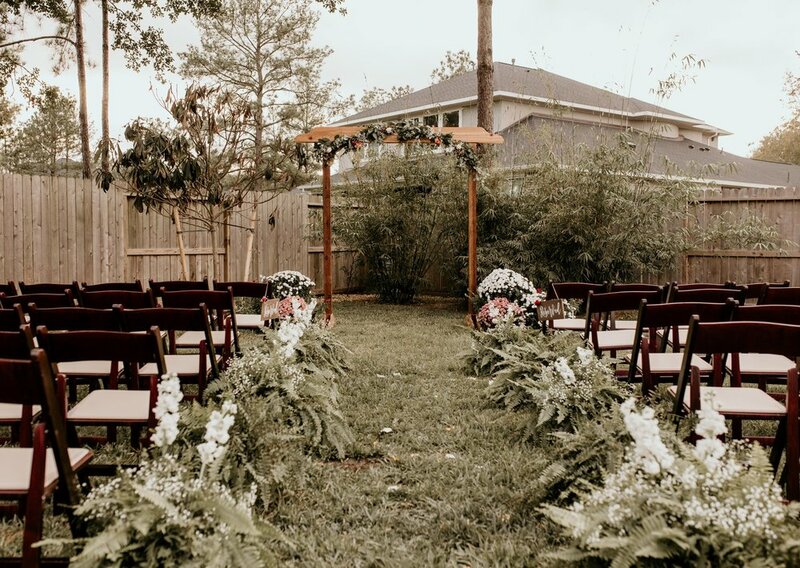 The ceremony was a beautiful and sweet event right in the backyard of Hunter’s family’s home. We loved seeing the obvious happiness in the faces of their friends and families as these two exchanged vows. Once they had their first kiss, the rest of the evening flew by with so many fun and special memories. 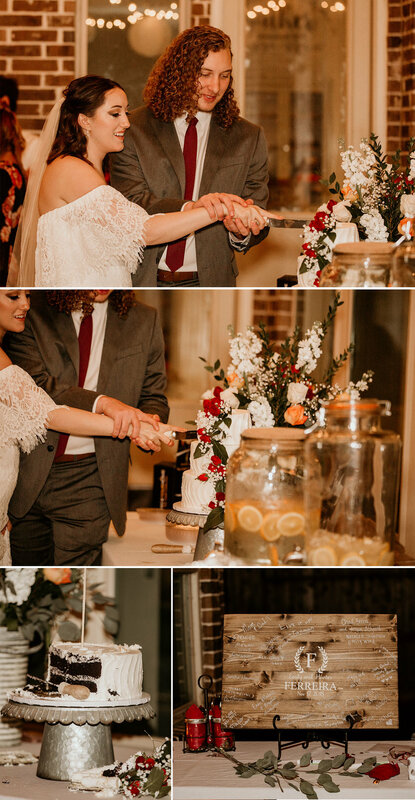 After some good food, s’mores, heartfelt toasts, first and parent dances (oh man the dances always get to me), delicious chocolate cake, and many smiles and laughter later, these two were on their way out with a bang as their friends and family sent them off with sparklers. Jesse and I treasure couples and weddings like this and were so happy to be a part of the experience. Thank you for having us photograph your wedding and we can’t wait to see where life takes you from here Emily and Hunter! Cheers to the Ferreiras! We wish you the best Mr. and Mrs. Ferreira!